Cute is not the first word that springs to mind when I think of a wookiee, although this is arguably a pretty rare occurrence. Fuzzball, as in the quote from Han Solo, seems rather more appropriate. 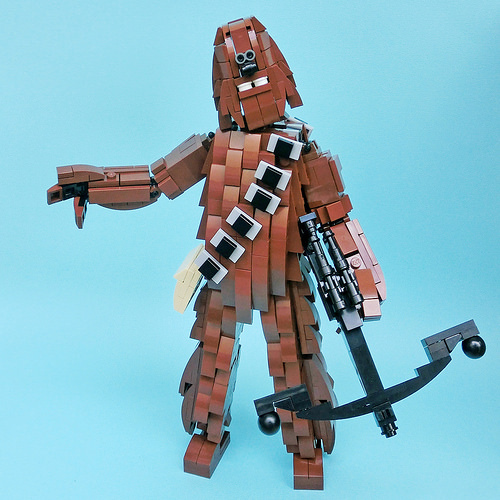 Using lots of 1×2 curved slopes, Flickr user umamen has managed to capture Chewbacca’s shaggy looks and, yet, somehow there is something cute about the end result. I think it’s in the facial expression.